Jaya Mehta is a multi-media artiste who expresses her art in many art forms : dance, poetry, children's fiction, written articles, innovative workshops, lecture-demonstrations and dance productions. Jaya Mehta's dance has the poetry of sculptural lines, beautiful, natural movement, powerful expression and a deep spiritual resonance. She dances the traditional Odissi of the Guru Surendra Nath Jena style and dance compositions of her own English poems, which she calls 'dance-poems'. Her dances, like her poems are a remarkable marriage of tradition and modernity. Jaya Mehta has presented spectacular productions like 'Swayam Khoj', 'Odissi Yatra' and 'Konark Kala Sangam' at prestigious international venues like the Korzo Festival in the Hague, the International Poetry Festival in Rotterdam, the Agung Rai Museum of Modern Art in Bali, the Gandhi Centre in the Hague, the Nehru Centre in London, the Indian cultural center in Istanbul and the International Odissi festival held in Odisha and New Delhi. Her highly innovative Odissi workshops have won over audiences in Barcelona, the Hague, Rotterdam and India alike. She was awarded the ‘Odissi Jyoti’ title at the Naveen Kalakaar festival in Orissa in 2008. As an Odissi dancer and poet, she has penned a collection of dance-poems in English titled, 'The Poetic Saree'. She has also lent her voice and narration to these poems in a unique audiobook. Her poetry is powerfully multi-dimensional : it has been danced at the India Dance Festival and the International Poetry Festival in the Netherlands, published by the Levure Litteraire and filmed as 'The Poetic Saree Video project' by film maker, Shabani Hassanwalia. Her insightful articles on Indian art and culture have appeared in the Times of India, the Hindustan Times, the Economic Times and Pulse : UK’s leading magazine on south Asian dance. She has also written a first of its kind, 'The Indian book of Dance Stories', currently under publication with the National Book Trust of India. 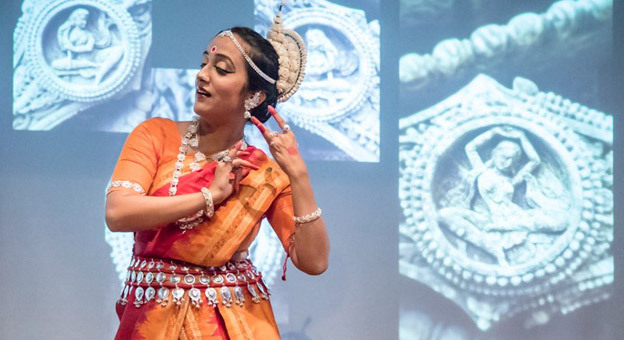 She aims to connect young children with India's rich dance forms through fiction. In her dance process with children, she has created pioneering Indian culture workshops like 'Mum, Me and Odissi'(about Odissi dance, music and costume) and the 'Discover India' series (about Indian festivals and seasons). She guides an ensemble of young dancers at her dance school, 'Odissi Kalaa Ashram', to become classical dancers who can span the traditional and explorative with equal ease. "Odissi felt to me not just an aesthetics of the sculpturesque, but a much deeper commitment to the higher consciousness within. Artistes with their art, seek to understand the higher energies and mysteries of the universe. Today while dancing I revel in the 'satsang' that Odissi is. It is like Odissi takes my hand and leads me into a deeper journey into the cosmos, where our ancient rishis and sages meditated, for an eternally fragrant glimpse of the divine. As a performer, I feel deeply motivated to a process of linking many more individuals to the divinity of Odissi as an aesthetic and deeply transformative experience. In this journey, I began to look for new ways of looking at Indian Art. Through the dances of the Guru Surendra Nath Jena tradition, I realised that the Indian visual and performing arts come together like one beautiful painting. 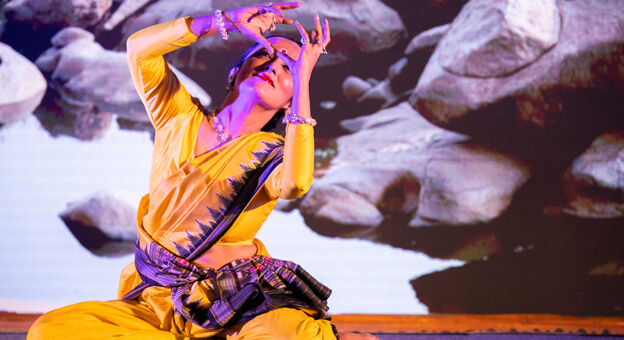 This resulted in discoveries like the 'Mum, ME and Odissi' workshop, 'Dance Travels' series of performances and many multi-disciplinary events connecting dance to trees, sculptures, nourishment, travel, the Hindi alphabet, etc. As the journey continues, traversing forever between the ancient and modern, the cultural and the universal, I take Lord Jagannath's blessings and continue with this dance odyssey of discovery."  Masters in Ancient History from Jawaharlal Nehru University, New Delhi. Bachelors in Fine Arts (Painting) from College of Art, New Delhi. ‘Appreciation of Indian Art and Culture’ capsule course from National Museum, New Delhi. Trained in the Odissi dance style of Guru Surendra Nath Jena from Guru Pratibha Jena Singh at the Triveni Kala Sangam, New Delhi. Received training in the Odissi dance percussion instrument ‘Mardala’ from Guru Prafulla Kumar Mangaraj. Was awarded the ‘ODISSI JYOTI’ title at the Naveen Kalaakar festival at Bhubhaneshwar (2008). 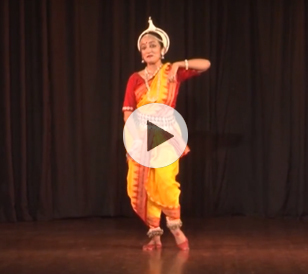 Presented a solo Odissi dance recital titled, ‘Odissi Yatra’, in the tradition of Guru Surendra Nath Jena at the Centre Mandapa in Paris, France (2015). Presented a solo Odissi dance recital titled, ‘Odissi Rasa’ in the tradition of Guru Surendra Nath Jena at Agung Rai Museum of Art (ARMA),Ubud, Bali (2014). Presented a solo Odissi recital titled, ‘Krishna Calling’ at the India Cultural Centre, Istanbul, Turkey (2013). Performed an Odissi recital titled, ‘Nritya Darpan’ with Odissi dancer Swaati Vivek at the India International Centre, New Delhi (2015). Presented Odissi at the ‘Shilp Yatra 2015'- an Odissi recital in the tradition of Guru Surendra Nath Jena at the India International Centre, New Delhi. Presented ‘Dance Travels- into the heart of love and devotion’, a special Odissi event at Atelier, costume designer Sandhya Raman’s studio in New Delhi (2014). Presented Odissi at the 'Nritya Dhara 2014'- an Odissi recital by three generations of students of Guru Surendra Nath Jena at the Triveni Kala Sangam, New Delhi. Performed the ‘Hanuman Chalisa’ at the Hanuman Jayanti celebrations at the temple on Anjanadri hill, Hampi(2013). Presented Odissi at the Vedic Swar Concert 2013 at the India International Centre, New Delhi. Presented an Odissi recital with Swaati Vivek at ‘Vasant Utsav’ the annual cultural festival at Bharati College, New Delhi (2012). Presented a special Dance Travels event, ‘Trees in Indian classical dance’,at the Zorba the Buddha, New Delhi (2012). Presented a special Dance Travels event, ‘Decoding Abhinaya’,at the Attic, New Delhi (2012). Presented a special Dance Travels event, illustrating Indian classical dance for the NGO Manzil, New Delhi (2012). Presented a special Dance Travels event at the Kunzum Travel Café, New Delhi, illustrating classical dance as window into the culture of a place (2012). Performed at the Jagannath Rath Yatra 2012, at the Sri Jagannath Mandir, New Delhi. Performed solo at the International Odissi Dance Festival 2011, held at Bhubhaneshwar, Orissa. Presented ‘Divyanjali’, an Odissi dance recital with Swaati Vivek at the India International Centre, New Delhi (2011). Performed Odissi at the International Odissi dance festival, Bhubhaneshwar (2010). Performed ‘Shraddhanjali’ – a tribute to late Guru Surendra Nath Jena at Triveni Kala Sangam, New Delhi (2007). Performed Odissi recital titled ‘Bhakti Sandhya’ ,an evening of compositions on bhakti, at Triveni chamber theatre, new delhi (2005). Performed a Trigalbandi with Bharatnatyam and Kathak dancers in a programme in aid of Tsunami victims in New Delhi (2005). Performed in a Trigalbandi with Bharatnatyam and Kathak dancers at JNU Founders Day Programme (2004). Odissi recital titled ‘Nrityopasana’ at triveni chamber theatre, New Delhi (2004). Odissi recital titled ‘Odissi Sandhya’, an evening of Guru Surendra Nath Jena’s dance compositions at Triveni chamber theatre, New Delhi –(2003). Odissi recital at the Convocation ceremony of the Indian Agricultural Research Institute, New Delhi (2003). Conducted ‘Ka se Krishna’, a unique Odissi workshop for children, connecting the Hindi alphabet with Indian art and classical dance. Mogly’s Gurukul, New Delhi. Conducted ‘Sun God and Konark’, a multi-disciplinary workshop about the visualization of the Sun in Indian mythology and temple architecture through visuals, story, dance and craft for young ones under the Kalatalkies arts initiative. Conducted a special Odissi dance workshop ‘Dance Travels in Barcelona’, at the Kundalini Yoga Studio in Barcelona, Spain,2012. Conceptualized a new series of Odissi workshops for mothers and children titled, ‘Mum, ME and Odissi’in New Delhi. 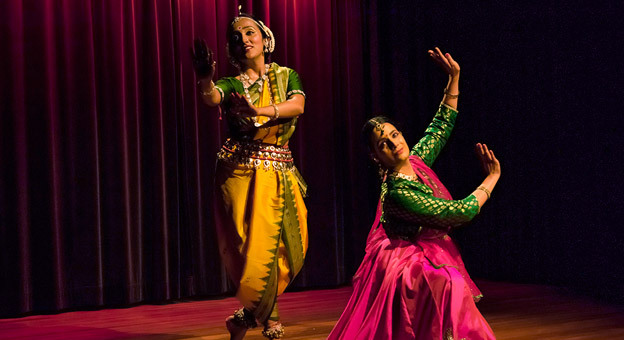 These introduce the aesthetics of Odissi and are conducted through the year in the city. Conceptualized, ‘Nourishing our Inner Selves’, another new workshop to introduce classical dance to adults which have been conducted in July and August 2012 in New Delhi. Conducted a classical dance workshop for students of Vasant Valley school at the the Moonbeam meditation centre, New Delhi,(2012). Conducted a special Dance Travels event, ‘Keertan with Krishna’, for pre schoolers in New Delhi,(2012). Conducted lecture – demonstration on the Odissi dance style of Guru Surendra Nath Jena at the Centre for Arts and Aesthetics, Jawaharlal Nehru University, New Delhi (2003). Conducted lecture – demonstration on Odissi dance grammar, performance and evolution at the Centre for Arts and Aesthetics, Jawaharlal Nehru University, New Delhi (2003). Conducted lecture – demonstration on classical dance on World Dance Day, for children with special needs at Navjyoti school(2005). Taught dance to children with special needs at Very Special Arts, vasant kunj, New Delhi (2005). Created a new methodology for teaching Odissi, which is implemented in the Odissi workshop ‘Mum, ME and Odissi’, conducted in New Delhi. 2012 to present: teaching the Odissi style of Guru Surendra Nath Jena to select students at her dance school ‘Odissi Kalaa Ashram’ in New Delhi. ‘Many Coloured Strands’, cover feature for Pulse summer ‘2005. ‘..about dancers finding a place in history’, Pulse autumn ‘2005. The research paper, ‘Ellora: Understanding the creation of a past’, is published in the Delhi university history reader titled, ‘Cultural History of Early South Asia’, ed. by Shonaleeka Kaul. ‘Satsang in Motion’ – The Speaking Tree supplement, Times of India, 2012. ‘Hanuman Jayanti’ – Speaking Tree, Times of India, 2013. 'Why God chose to be a Cosmic Dancer’, Times of India, 2005. ‘A Passage to India’, Hindustan Times, 2000. ‘Siva as an Icon’, Pioneer, 1999. ‘A journey into the Past’, Pioneer, 1999.